The Parent Toll-Free Helpline, 1-855-DRUGFREE (1-855-378-4373), is staffed by clinical social workers with practical experience in substance abuse prevention and treatment. The helpline, launched by the Partnership for Drug-Free Kids, began taking calls in April 2011 and will offer bilingual support (English/Spanish) beginning in mid-August. 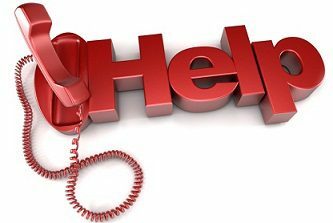 The helpline counselors are extensively trained in scientifically proven intervention techniques to assist parents in communicating with their children and find appropriate help when it is needed. One technique is Motivational Interviewing, which tries to move a person to change their behavior, while being sensitive to their level of readiness for change. The technique uses open-ended questions to elicit what the person feels ready for, and makes them feel empowered. For instance, when talking to a parent who is convinced that he or she has no influence on their child, a counselor can have the parent reflect on the ways they had a role in their child’s life in prior years, and have them think about ways they still influence their teen even now that they are older, such as helping them use their free time wisely, Dr. Winters says. The counselors are also trained in using community reinforcement and family training (CRAFT), which is designed for concerned parents and others to help their loved ones who have problems with drugs or alcohol get into appropriate treatment. The underlying components of CRAFT include teaching effective communication skills, positive reinforcement and contingency management techniques which help parents form a new dialogue with their children. She also helps parents find scientifically valid information. “So much information online is linked to people who are trying to take advantage of parents in a vulnerable state,” Bos notes. Not all of the calls to the helpline have been from parents. For instance, several calls have come in from military wives who have become addicted to morphine patches themselves after using patches prescribed to their husbands for war injuries. Bos emphasizes that the helpline provides information, but is not a crisis line. The helpline is staffed Monday-Friday from 10:00 a.m. to 6:00 p.m. Eastern time. Parents who call after hours can leave a message and will be contacted the next business day. Contact doesn’t end with the initial call. Bos asks callers if they would like her to follow up, and if they agree, she calls within two weeks to see if the caller needs further help. She also offers callers the option of contacting another parent who has gone through a similar situation. The launch of The Parents Toll-Free Helpline was made possible through the generosity of Purdue Pharma, the Bodman Foundation, a private foundation and numerous matching contributions from individuals. My boyfriend’s son is an addict. He 29 years old. Has been in jail, gotten out and right back to using. His parole officer picked him up tonight. The son has been using the bail bondsmans phone, calling, please daddy come get me. I cant stay in jail. Please daddy, all the begging he could muster. I asked my boyfriend to talk to the bondsman. I asked him, sir yes or no, should his father leave him in jail? The answer was yes. So dad left his begging son in jail. Now the guilt has started. How can i make my boyfriend see this was the only way his son was going to get help??? That this would save him.? Glad to hear there’s a support line for parents who are struggling with new information about their addicted loved ones. I wish I had that opportunity when my children were experimenting and then getting addicted to drugs (alcohol is a drug too). The years passed and the need for my own support became critical to my own well-being. Thankfully, a therapist at my son’s rehab recommended I seek out NAR-ANON FAMILY GROUPS. I did and my life has been changed forever: I am in recovery from those traumatic years and events and I try to reach out to others who are traveling on the same path, but at different stages. While you’re making strides in helping your addicted loved one get clarity on his/her situation, please join us for some clarity on your own: you’re not alone! While Alanon can be helpful for some people, the CRAFT approach has been found to be more beneficial than CRAFT or formal interventions in research studies. Parents of adolescents with alcohol/drug problems can find on-going support at Al-Anon meetings. This is a program to help parents and friends of people with alcohol and drug abuse problems learn on an on-going basis how to respond and deal with the person of concern. Meetings are free and it is a self-help program with over 50 years of experience, strength and hope for families of alcoholics.